Organic Sales: 65% of overall store sales, 100% of produce sales is certified organic or meets organic production standards. Co-Op staff contact manufacturers whenever they have a concern about product ingredients. The store does not bring in new products that aren't organic or Non-GMO Project verified. The co-op is initially focusing its efforts on keeping new products out of their store. General Manager Art Ames has spearheaded an effort with 16 other co-ops with over $150 million in combined annual sales to not bring in any new GMO products into their stores. This policy has been in effect since June 2012. 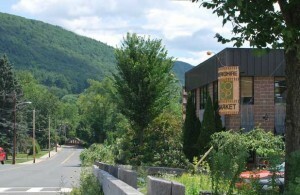 Berkshire Co-Op Market is a Non-GMO Project Participating Retailer. Berkshire Co-Op Market donated $2,000 to support Prop 37.